Every Monday I am posting five shots from the prior week that I like a lot – the fabulous five. Unfortunately I was quite busy the last two weeks and hardly found time to shoot. I spent quite some time preparing my winter hide for little song birds and therefore very much look forward to snow (predicated to arrive in the next couple of days, lets see as the weather has been a bit weird the last couple of days with lots of relatively warm days). Anyways, still some shots made it to last weeks fab five. I hope you like them. 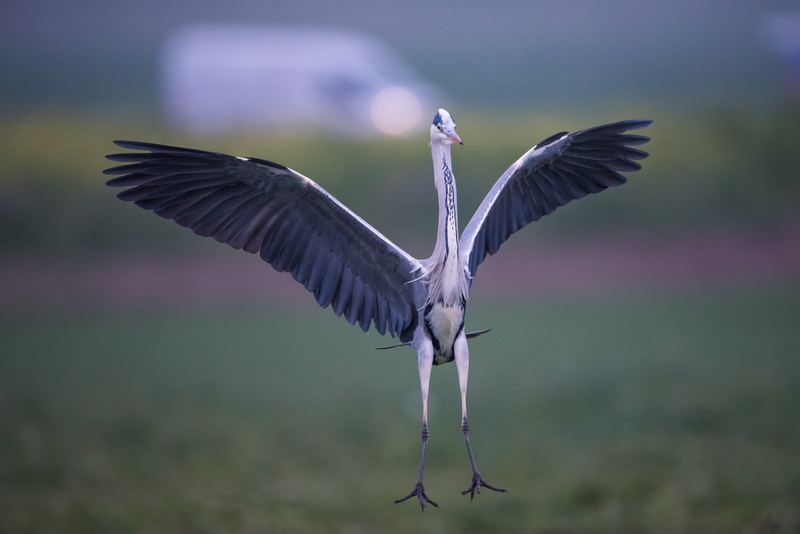 The first picture shows a great grey heron (Ardea cinera). You likely know by now that I have a thing for these guys. Sure, they are not special nor rare by any means but still I like em a lot. This guy was slowly walking over a meadow looking for mice – Herons are very precise hunters and within a couple of minutes he took out like 3 to 4 little rodents. Right at the moment when I didn’t pay attention he took off and flew away. I was almost ready to leave the area but decided to wait some time. I had the right feeling, because my little friend came back and surprised me with a nice landing. 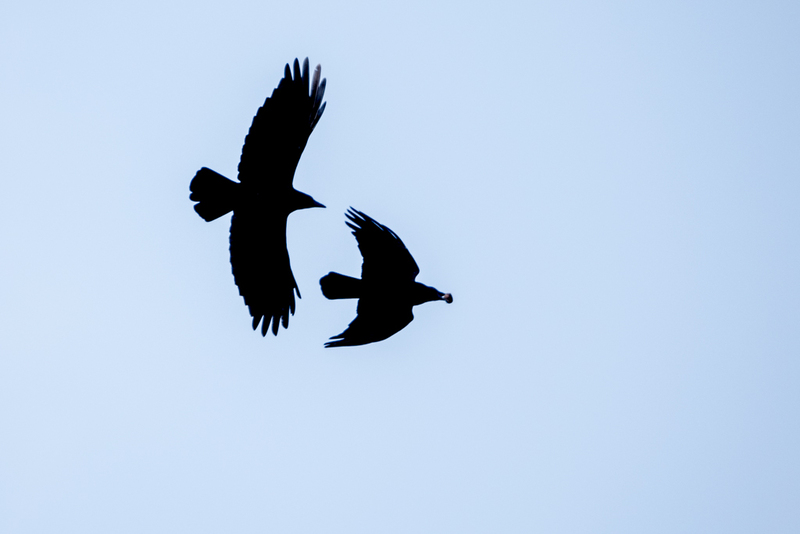 The second picture shows two carrion crows (Corvus corone) chasing each other. Well to be precise, the first one tries to escape with a nut whereas the second bird tries to steal it. There is such a huge number of crows out there that I start becoming concerned that laws will release them for hunting. I love these intelligent guys so much that this would be a real tragedy. Besides my feelings for these birds, I know that this is already happening in other areas where crows are hunted to death – with exactly zero effect. These animals are so clever and understand the threat, that they are reproducing much faster as they normally would. The result is ten thousands of dead birds and more crows. Last Saturday (like every Saturday and Sunday) I spent quality time with the knuckleheads Turbo and Peanut (our two English Bulldogs). When I leave early for work, these two crushers are still snoring and when I come back from work, they usually are napping again. However, on weekend mornings they get up at 6ish because they exactly know that I could sleep some extra hours. 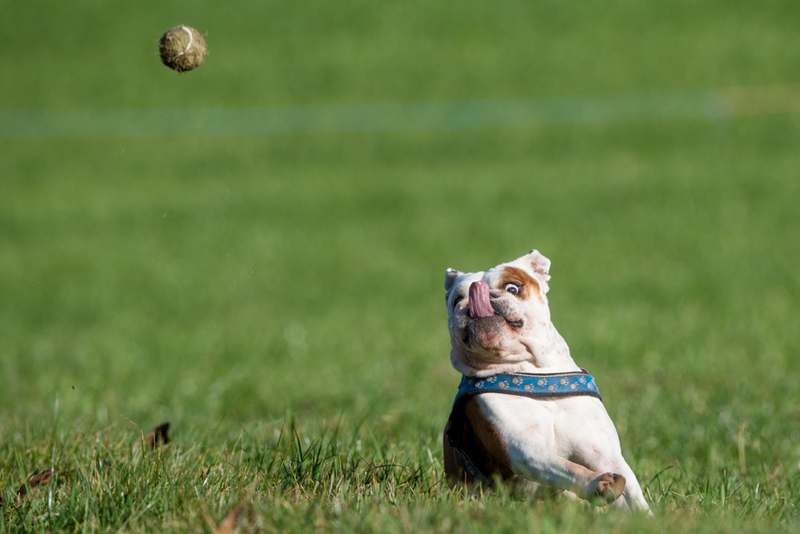 It’s like they have a timer… Picture number three shows Peanut chasing her beloved tennis ball. I only had my 500mm lens with me and screwed up a lot of funny shots as I was too close. I will try to do some more shots the coming weekend with the 70-200mm f/2.8 lens. 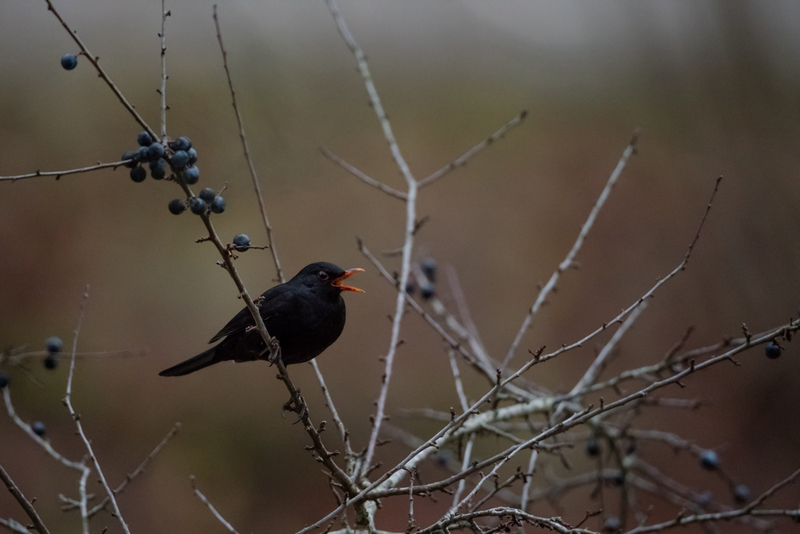 The 4th picture shows a eurasien blackbird (Turdus merula) early Saturday morning. As just said above, I was out with the dogs at around 7ish when this guy was still busy with his morning song. I like these birds a lot as I find beauty in the simple things. I love how the orange beak stands out whereas the rest of the bird is „just“ kept beautifully black in black. 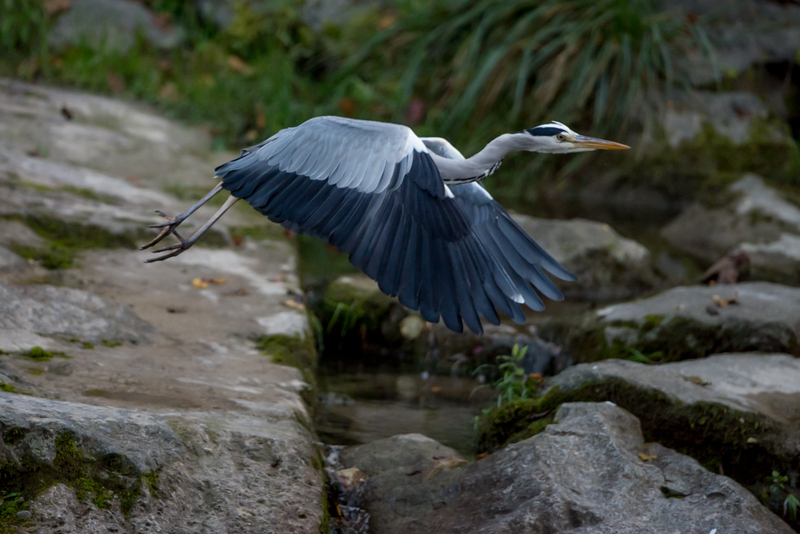 The last picture shows another grey heron (Ardea cinera). I spotted the beautiful bird while walking a river close by looking for white-throated dippers (Cinclus cinclus). I hope to post soon some pictures of these little dippers but so far it has been very difficult as they are very spooky. I need to think about a strategy to get close enough without disturbing them.